A great finger food for your baby….as easy as it gets! 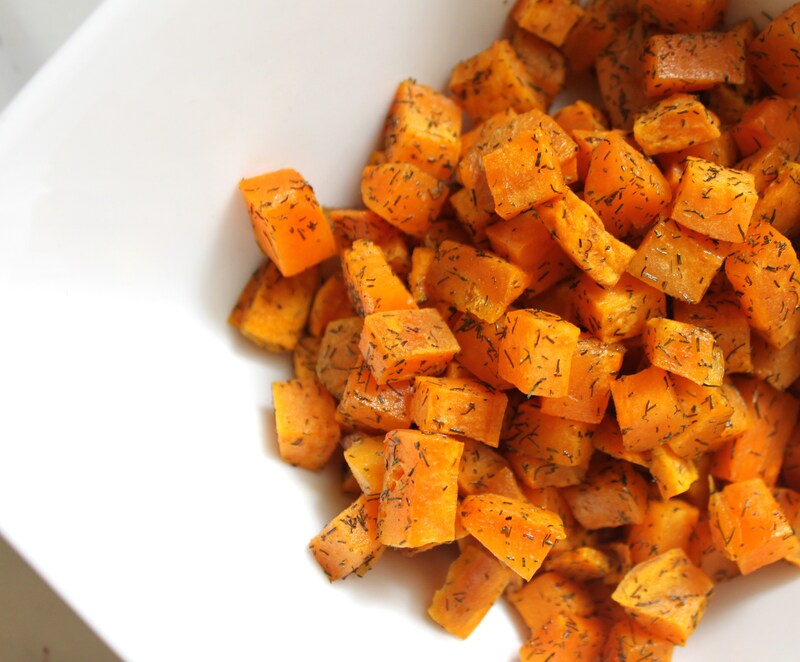 Roasted sweet potatoe with dill. Roast in the oven at 350 degrees on a parchment paper lined baking sheet for about 20-25 minutes until soft when poked with a fork. Store leftovers in the fridge and eat within a few days.